Cherish Healing is a holistic health and wellbeing company that helps people to rebalance through complementary treatments and sustainable awareness practices. We aim to not only offer a helping hand when you need extra support, but also to share simple techniques that can be threaded into your daily life to offer lasting wellbeing & positive health. 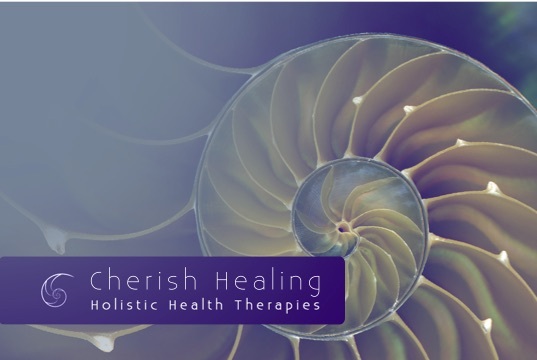 Cherish Healing is fully insured, and the Director is CRB checked and a Regional Co-ordinator for the CThA Complementary Therapies Association. Preya has been practicing and training in natural mind and body therapies for over 10 years. Due to her own personal experience of anxiety and depression, which has been transformed through yoga and holistic therapy, she is passionate about helping people reconnect and nourish both mind & body. Preya believes that through therapies & techniques, deeper awareness can be raised for lasting wellbeing beyond the treatment room or yoga mat. She works with a range of clients such as New Art Gallery Walsall, West Midlands Probation Trust & the Multiple Sclerosis Society. Lucie is a Marketing Student with a big interest in holistic healing. 'I like helping others with simple and highly beneficial life techniques. A health-nerd like myself believes in complementary practices that can only benefit an individual and help them gain control of their life'. From personal experience Lucie has tried practices such as Yoga, Reiki, and Meditation and can 'confirm these practices will truly allow positive energy to flow into ones life'. We work with qualified and respected yoga, meditation, pilates and teachers on event and as part of promoting wellbeing in the workplace. We also have professional and talented teams of massage therapists that work nationally and internationally providing onsite massages.